Patrick Fort is 18 years old and suddenly bereaved, his father is (literally) snatched from life, leaving an empty space above his shoes. This crime novel explores Patrick's feelings of loss and guilt, as Patrick investigates where his father has 'gone'. Patrick's journey to understanding death and loss takes him to university pathology classes and into unexpected danger when the cadaver in his class group reveals dangerous clues. The dead do speak. 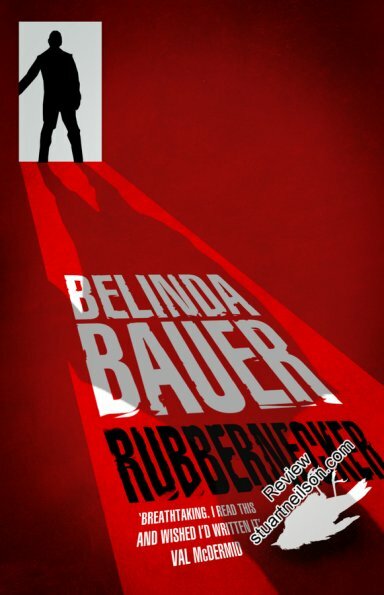 As with her excellent Blacklands crime trilogy, Belinda Bauer displays a detailed insight into the minds of children and families affected by loss and trauma. She extends that insight in this book, through the mind of an adolescent whose loss is compounded by his apparent emotional detachment, and the effort that Patrick must make to identify his emotions before he can begin to lay them to rest. The scale of the plot that he uncovers is implausible, and perhaps dominates the important issue of bereavement and Asperger syndrome.